True blue roses have been sought after for centuries. Australia's Florigene Ltd. was the first to make a truly blue-colored rose. Other blue roses are so named, but might not have the blue pigment in them. Roses are a timeless symbol of romance, and the different types of blue rose flowers offer an alternative to the true blue rose, a rose with the word "blue" in the name. 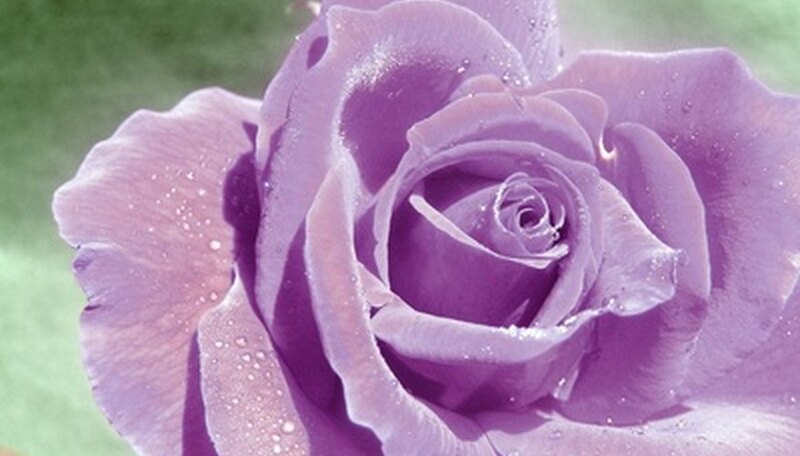 The shocking blue rose is mauve in color and has a pleasant fragrance. The rose bushes, when full grown, will be 2 to 4 feet high and 3 to 4 feet wide. It has a strong fragrance and a citrus attribute can be smelled from the shocking blue rose. Many rose growers try to use the seedlings to get the color into other flowers. The blueberry hill rose has a lilac-blue color to it. When in full bloom, the rose petals are delicate. This type of blue rose flower has a sweet, apple fragrance. The blueberry hill rose bush can grow up to 4 feet high. The bush is round in shape and is similar to an azalea bush. The blueberry hill rose blooms well all summer. The blue moon rose is pink-blue in color, and is the closest rose to the true blue color rose with the exception of the blue rose Australia's Florigene Ltd. has created. The bush of this type of blue rose flower can reach 6 feet high. If it is grown as a vine, it can reach up to 12 feet in height. 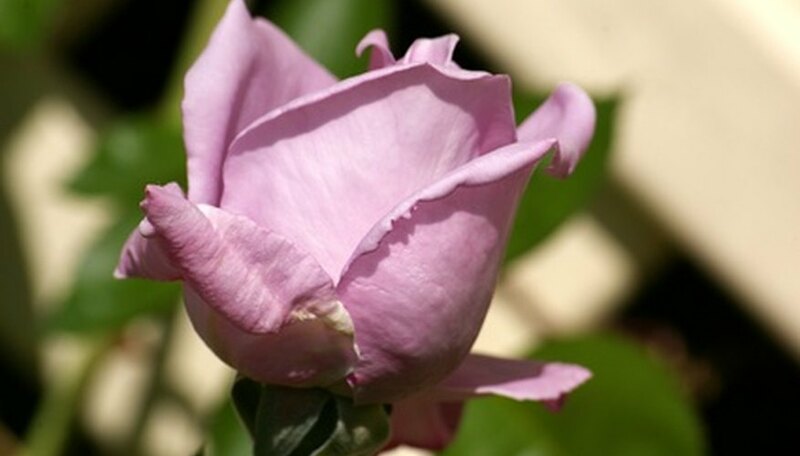 The blue Nile rose is a hybrid tea rose lavender-blue in color. The fragrance is strong. The large leaves of this type of blue rose flower are a distinct olive color. A fully bloomed blue Nile rose is large. This type of blue rose flower is good for cutting and placing in a vase. Thanks to Suntory Holdings Limited and Florigene, there is a true blue rose. The petals of this type of blue rose flower are nearly 100 percent blue in pigment. The scientists who created this blue rose took a red and orange rose, removed the DFR gene, inserted a gene from a pansy and inserted the iris DFR gene. 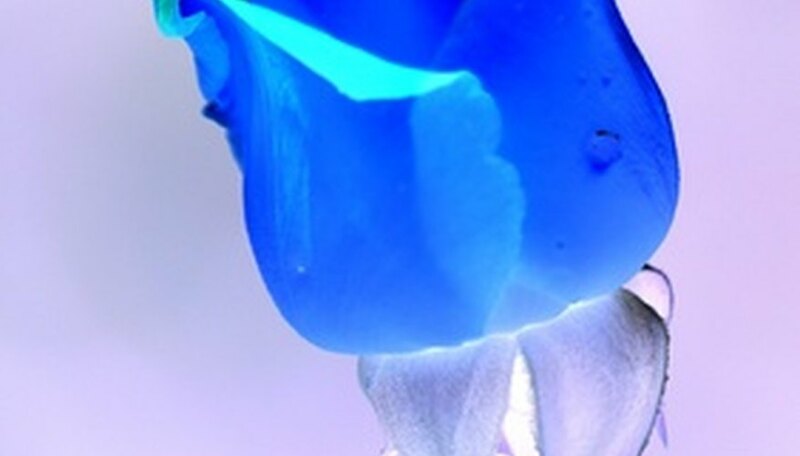 The DFR genes in the roses are what prevented the blue pigment, so by shutting those off and inserting the other genes they were able to create a true blue rose for the first time. Suntory: Introducing "SUNTORY blue rose APPLAUSE"
How Do Flowers Get Their Color?